Participants picking up their packets at The Pike on Friday can park in the aquarium parking lot off of Shoreline Avenue. Validations for up to 90 minutes will be provided at registratio. Note: Parking will be different this year than years past! 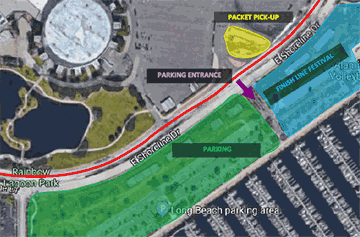 Participants on Saturday can park in the Marina Green lot south of Shoreline Drive, entry at Linden Avenue. 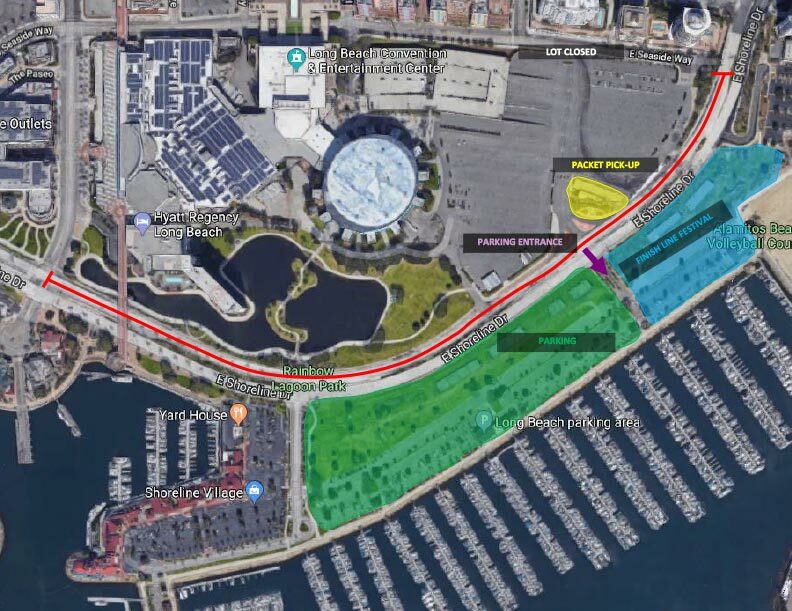 Westbound Shoreline Dr. will be closed between Seaside Way and Pine Avenue so we recommend taking the 710 South, and exiting at Shoreline Drive. See below map for reference. Parking will be $15 for the entire day.